The world's top TV manufacturers Samsung and LG face a growing threat from Chinese rivals who are catching up quickly. 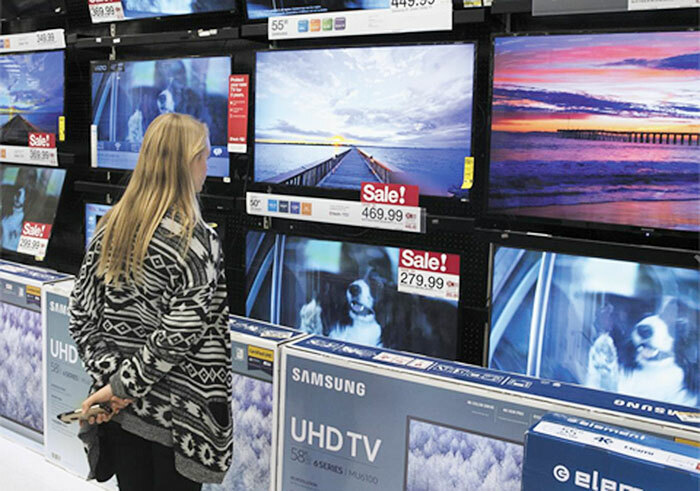 According to market researcher IHS Markit last week, China's TCL sold 4.53 million TVs around the world during the third quarter of this year to garner a 8.3 percent market share and come third after Samsung and LG, which together account for over 30 percent. This is the first time a Chinese TV set maker has taken more than eight percent of the global market. China's Hisense came fourth with 6.3 percent, while Japan's Sony with 5.9 percent is also expanding its slice of the pie. Japan's Sharp, now in the hands of Taiwan's Foxconn, saw quarterly sales surpass 2 million TVs. "On a brand basis, due to the poor demand results in China, Chinese TV brands have been aggressively pursuing more business overseas," IHS Markit said in a report. Strong sales in North America, which has re-emerged as the top market in the world, were behind the strong performance of Chinese and Japanese TV makers. TCL and Hisense boosted their market share there from a mere three to four percent last year to around seven percent in the third quarter this year. Sony rolled out an ultra-slim OLED TV and managed to boost its share by almost three percentage points. Chinese players are using the North American market to gain a bigger foothold in the global market. They control more than 75 percent of China's market but have been considered minor players on the global stage until now. In contrast, Samsung's global sales volume shrank by more than 1.36 million units in the third quarter, reducing its market share to less than 18 percent. Samsung sold only 29.5 million TV sets until September this year, down around 2.8 million on-year and sparking fears that its whole-year sales will fall below 45 million for the first time since 2009. One industry insider said, "Sharp unilaterally halted TV panel supplies to Samsung late last year, causing Samsung to lose 5 million units in sales." Instead, Samsung and LG are focusing on premium products to maintain profitability. Samsung cut the proportion of 40-inch or smaller TVs by more than 10 percent this year, while expanding production of large-screen TVs of 70 and 80 inches. Rather than expanding market share, Samsung aims to boost the amount of money it can make per TV set. A Samsung staffer said, "We control more than 40 percent of the global market for large TV sets measuring 60 inches or more and will achieve better results during the fourth quarter as we begin full-fledged sales of QLED and other premium TV sets." LG is bolstering its line-up of ultra-slim OLED TV sets. "We achieved a record operating profit margin of 9.9 percent in the third quarter after we sold 250,000 OLED TVs priced over US$2,500." 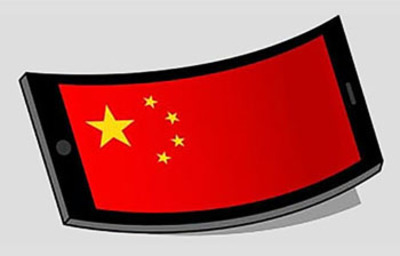 Noh Kyung-tak, an analyst at Eugene Investment and Securities, said, "It is difficult to compete with China's onslaught in the low- to mid-priced LCD TV market. Samsung and LG need to focus more on the market for premium products based on their technological superiority."